Benefits: Macadamia nuts are high in monounsaturated fat which can help upregulated genes that assist with inflammation control. The same benefits are provided by the tahini, pepper and cumin. The garlic can help increase glutathione by providing sulfur compounds. The lemon juice and all the veggies you will use in this dip also support antioxidant activity and upregulate genes that decrease inflammation and even suppress cancer. 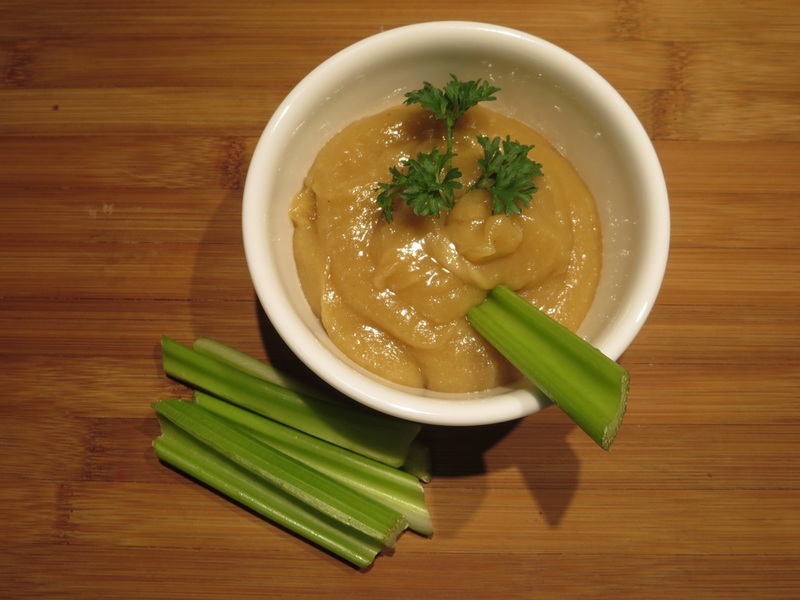 Also know that the high fat content of this dip will help with blood glucose control. High blood glucose is very inflammatory so this is an important benefit! Use a high powered blender such as a Vitamix to blend macadamia nuts into a smooth paste. If you do not own a high powered blender you can use a food processor – only you might not get quite the same smooth paste. Add the remaining ingredients saving the salt and pepper for last to adjust for taste. Blend until well combined. Chill for at least 2 hours or overnight to let flavors meld. Choose a variety of vegetables to dip. Note: if you are “keepin’ it Low-carb Healthy-fat” then choose lower carb vegetables such as celery, cucumbers, bell peppers, jicama and raw cauliflower.